Give your property the jump start it needs after the winter season by taking advantage of Greenway Lawn Maintenance spring yard clean up service. This thorough clean-up will really make your home stand out. Raking and collection of all leaves and debris: Leaves and debris including branches that build up over the winter that should be removed for your lawn to look its best. Edging and turning of all garden beds: Flowerbeds get compacted after the winter and need to be turned before any planting can be done and re-edged due to erosion. Trimming of shrubs (as required): It is a great time to trim evergreen shrubs or ones that flower later in the season to give them a neat appearance. Season’s first lawn cut: This is the final step to ensure that your lawn is tidy, clear of debris and ready for you to enjoy this season. Greenway Lawn Maintenance Provides More Than Just Great Service! Our long-tenured workforce carefully chosen and continually trained in best practices for landscaping and customer care. Our dedication to excellence in design, installation and maintenance of your property. Our focus on creativity and expertise to understand your vision and turn it into reality for long-lasting beauty. Our belief in quality and professionalism that extends to our customers, our employees, and our community. 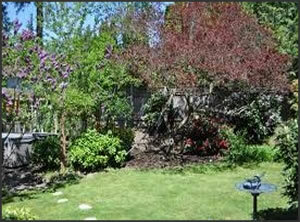 Serving Toronto, Etobicoke, Mississauga, And The Surrounding Area’s – Your Landscaping Experts!